When every penny counts, coupons can make the difference between a good deal and a great deal! Nowadays, everyone is looking for a bargain, and we are offering many great deals right on this special West Michigan coupons page. These money saving coupons are always available, ready for you to click and print. 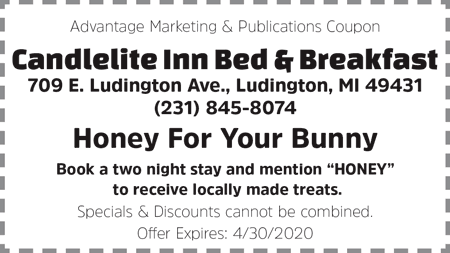 Whether you're looking for restaurant bargains, shopping for the best deals from local retailers, or searching for a discounted vacation at a West Michigan lodging facility - check here first for coupons and offers! Be sure to check out our Travel Specials Page also to find vacation packages and more! Special Offers - Vacation Packages - Dining Deals - and So Much More! $5 Off ANY Painting Party Ticket!